The 45 mm pipe head of our “55 Euro” are identical to the pipe heads of famous briar pipes. Die “45 mm Pfeifen Köpfe unserer “55 Euro” Gruppe sind identisch zur berühmten Briar Pfeifen. 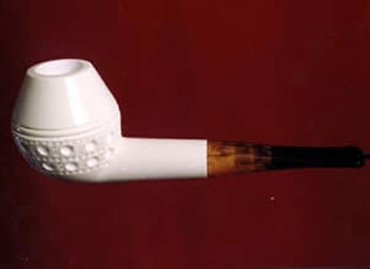 Sometimes, the natural meerschaum-stones have “fossil-own” stains, which appears only after the polishing of the pipe. This is not a disadvantage, on the contrary it is a sign showing, that used stone is really natural meerschaum. In this case, in order to get rid of these stains we recut such pipes of classic type as "lattice" form. Please read also the link "Hand Carving" of my web-site. The classic pipes all will not always be carved as recut. 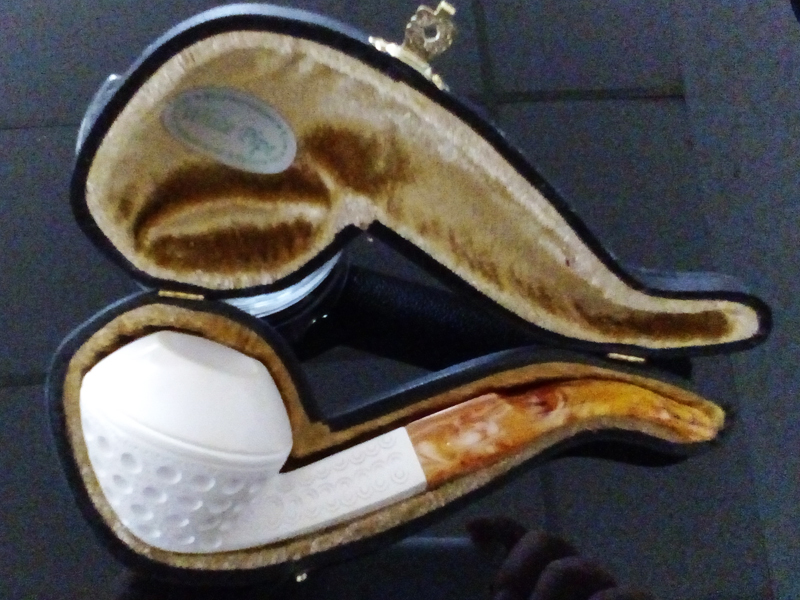 if it is necessary, according the structure of the meerschaum-stone all classical models will be carved as aesthetically lattice-recut, as seen on models # 540, # 550 and # 900. Lattice-recut will be made in different required styles aesthetically, how it is necassery. 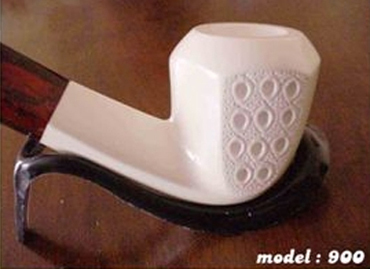 Furthermore, the lattice-recut is also the“ best cooling system”on meerschaum pipes. Beispiel dazu sind die Pfeifen # 540, # 550 und # 900. Das heisst nicht, das alle classic Pfeifen graviert geschickt werden. Nur, wenn es dem Struktur aus nötig wird, werden die classic Pfeifen in dieser oder aehnlicher Weise aestetik graviert. 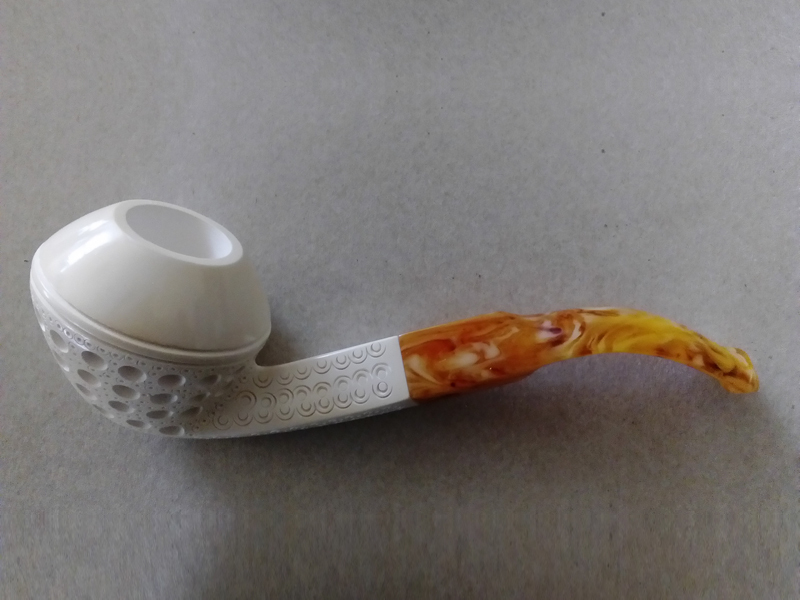 Diese Gravierung ist zugleich auch die beste Kühlung bei Meerschaumpfeifen.